Limit Callers As the number of callers goes up, the opportunity for effective interaction goes down. Keep Agenda Tight and Realistic. The longer the call, the more likely participants will try to multitask during the call. Keep the call short, agenda tight, and get things done. Review Call Outcomes There is one thing worse than a never-ending conference call—a do-nothing-never-ending conference call. Use last few (3-5) minutes of the call for a review of any action items or commitments made during the call. End Call on Time Being held hostage for minutes—or hours!—because a conference call goes over schedule is disrespectful of all callers’ time commitments. Follow-up Like any meeting, conference call should be followed up with a written summary of commitments, links and information shared during call, action plans, items deferred to next meeting, and the date and time for the next meeting. Record the Call Listen to an entire call you led. What went well? What could be improved? Did you stay on agenda? If not, why not? Were all participants active and engaged? What got done because of the call? Set Call Ground Rules Establish which of the following “Please Do’s” are really “Must Do’s” in advance of the call. Reduce Disruptions Put a “Do Not Disturb” sign on your door. Let potential interrupters know you will be on a call. Call In a Minute Early One minute late is rude and subjects callers to disruptive chiming and you talking over the actual meeting launch. Use a Land Line Cell phones can add disruptive background noise to a conference call. Verify Cell Coverage Strength Traveling? Be sure to find strong cell coverage in advance. Pay Attention Focus on the call. The only paper or screen work you see should be related to the call. Take notes. State Your Name Before Speaking In some cases, you may also want to share [only once] your job title or role in the call. Be brief. Mute Well 1) Mute your phone when you are not speaking. 2) Un-mute to speak. 3) Assume your phone is never muted. Keep background noise to a minimum. 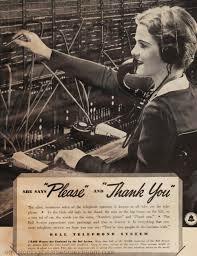 When you are un-muted, spare the other callers the annoying cacophony of: other phones ringing, the barista, dogs barking, keyboard clicking, and heavy breathers (you know who you are). Don’t Call and Drive. Calling while driving imposes traffic noises, strange silences while driver negotiates traffic, and increased risk to everyone on the road. No Hold Don’t put your call on “hold” while you do something else. 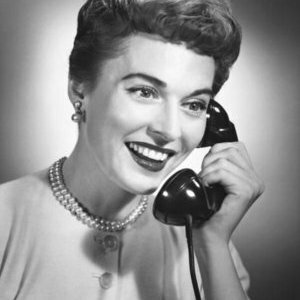 Other callers end up listening to your music. Don’t Call in Restroom. This horrifying violation of human decency deserves a scolding reprimand. I’m really, really sorry I have to mention this, and, I’m only going to say it once: Don’t … Ever… Talk … On… a … Phone … In … a … Restroom. Done well, conference calls can be a great tool for connecting people. Whatever role you play in the conference call, follow the “must do’s, “please do’s” and “taboos” for leading and participating in effective conference calls. Help conference calls be both effective and respectful to all. What would you add to this list of conference call etiquette do’s, please do’s and taboos?